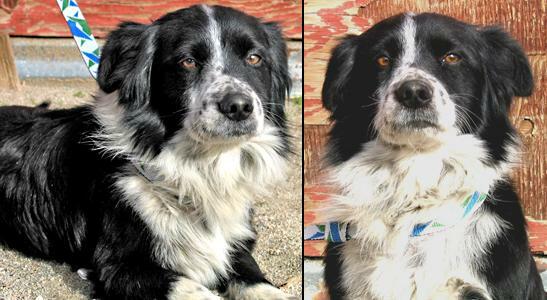 Mo is a handsome 2-3 year old Border Collie/Corgi mix with heavy freckling and a silky rough coat. He looks BC, but in a Corgi body. When Mo first entered our rescue program, he had a slight hitch to his gait, so we asked our vet, Dr. Connelly, to palpate his rear leg while he was under anesthesia. There was an old fracture that was not set. It would require re-breaking the leg to correct. We were told by Dr. Connelly that there was a possibility the outcome would not be better. At that time, BCIN decided that to put him through the pain was not worth that risk, as he was doing well and it did not cause him any pain or hamper his activity in any way. Unfortunately, shortly thereafter, Mo re-fractured his leg. The x-rays revealed the old fracture was a terrible mess. The femur was an "S" shape. Because of the angle that the femur had healed, stress was put upon the knee and hip joints. The knee was almost blown and the hip was starting to show wear. It was decided that it was in Mo's best interest to amputate rather than have continuing problems. It was decided that it was in Mo's best interest to amputate rather than have continuing problems. Mo came through the surgery amazingly well. As the vet had predicted, he has done so much better without it right from the evening he came home. He walked out of the clinic on his own. His attitude and happy go lucky nature never wavered. 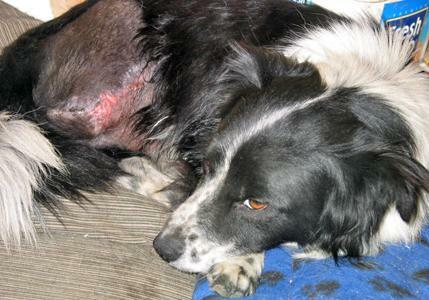 His staples have been removed and he has been cleared for adoption. He is out with the rest of the fosters running and playing. This special guy just never missed a beat. Mo is such a great dog that is going to be quite a catch for the adopter that is not concerned about having a "physically challenged" dog, as Mo has no idea that he is any different from what he was before. 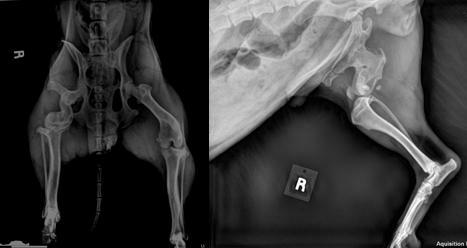 As you can imagine, Mo's veterinary care was not cheap. We are asking for donations to help recoup some of our costs so we may continue caring for dogs in foster care. 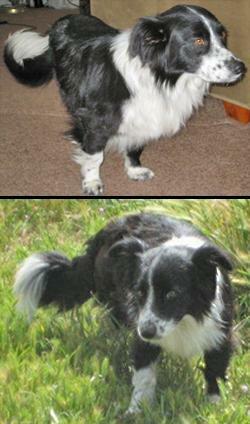 This includes several in quarantine not yet listed on our site, as well as the ones that are, and incoming dogs.